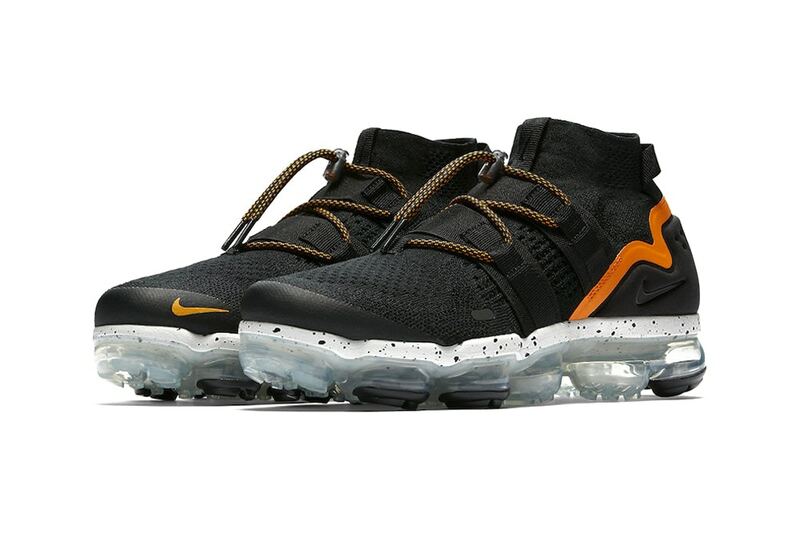 Nike‘s Air VaporMax Utility was shared in a new “Orange Peel” colorway which is made out of a predominantly black makeup with a striking hit of orange. This pair features a three-quarter-high sock-like fit, a bungee-cord lock lacing system, cushion foam midsole and full-length Air sole unit for explosive rebound and support. The all-black knit upper is accented by a bright strip of orange that wraps around the heel counter. More orange hits the mini Swoosh and laces, while a grey-speckled black midsole and translucent outsole give some additional contrast to make it whole. Dope or Trash?